American Mathematics Competitions 10B and 12B for high school students will be held at Emory on Wednesday, February 25, 2009. These are the entry-level competitions that lead to the USA Mathematical Olympiad (USAMO) which in turn leads to the International Mathematical Olympiad (IMO) documented in the movie "Hard Problems" by George Csicsery. Pre-registration and a nominal fee are required. Please e-mail Paul Wrayno (pwrayno@emory.edu) to register. This brochure gives more information about the competition, including sample questions. There is also a Wikipedia article about the competitions. Emory University's Michele Benzi has been elected by the membership of the Society for Industrial and Applied Mathematics (SIAM) as the newest member of the SIAM Council, serving as a Council Member-at-Large through 2011. Benzi's goals as a council member include continuing to strengthen SIAM's publishing and conference programs. "SIAM journals, books, and conferences are widely regarded as among the most prestigious venues for the dissemination of high-quality research in applied and industrial mathematics," said Benzi. "It is important that SIAM continues to strengthen this leadership position by maintaining the highest standards for its meetings and publications." Benzi is also interested in cultivating and growing the Society's international reach. "I think SIAM should continue its internationalization by facilitating the creation of additional SIAM chapters around the world, including in developing countries. I believe that such an expansion would be highly beneficial both for SIAM and for the scientific communities of the countries involved." Benzi is a professor in the department of mathematics and computer science at Emory University, a consultant for Los Alamos National Laboratory, and an adjunct professor in the computer science department at Old Dominion University. In addition to his new position with SIAM, Benzi is a member of the American Mathematical Society (AMS), The International Linear Algebra Society (ILAS), Unione Matematica Italiana (UMI) and is the Vice Chair of the SIAM Activity Group on Linear Algebra. He is also an associate editor of both the SIAM Journal on Matrix Analysis and Applications and the SIAM Journal on Numerical Analysis. Benzi received his Ph.D. in applied mathematics from North Carolina State University, and his Laurea in mathematics from the University of Bologna, Italy. 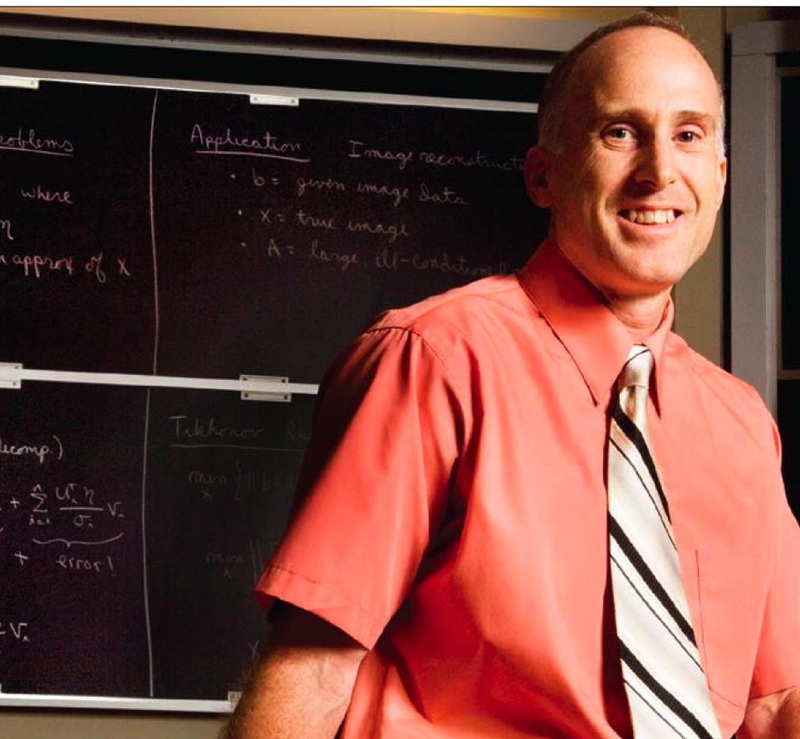 His research interests include scientific computing, numerical linear algebra, and Markov chains. Each year SIAM relies on its members to elect its leadership; representatives to the Council and Board of Trustees are elected to three-year terms. Those selected govern SIAM activities and make important decisions on behalf of all members. Complete election results can be found here. Page one of the article can be found here. Page two of the article can be found here. A translated version of the full article is published on this website. Finding his focus: Gymnast turned mathematician is driven by precision. The Emory University student chapter of the Association for Women in Mathematics (AWM) is proud to sponsor its first ever Sonia Kovalevsky High School Math Enrichment Day on Thursday, May 8. Faculty and students from Emory, Agnes Scott, Spelman, and Georgia Perimeter will join with students and teachers from several area high schools in a day packed with interactive workshops, talks, and activities. For more information, please see our website. In the May 5th, 2008 issue of the Emory Report, an article written by Carol Clark featured a story on graduate students Julianne Chung and Audrey Malagon and their math enrichment program for Atlanta high school girls. The article can be found on the Emory Report website. Photograph by Brian Meltz. The Department of Mathematics and Computer Science is pleased to announce the 14th Evans/Hall Lecture and Award Ceremony on Monday, April 21 from 4-5pm in E208, Mathematics and Science Center, with Reception following. The lecture will be delivered this year by Distinguished Alumnus Adam Beguelin C'85 . 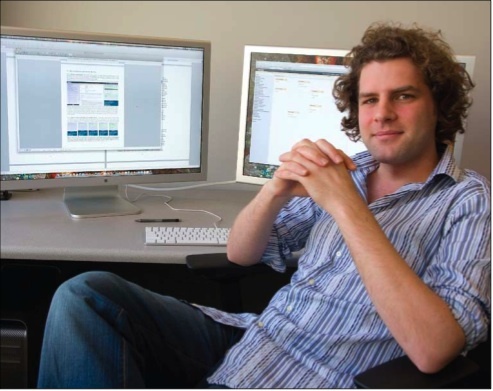 Adam began his professional career as a highly respected computer science researcher at Oak Ridge National Laboratory, the University of Tennessee, and Carnegie Mellon University. His scholarly contributions are varied and impactful, and are considered among the pioneering works in parallel computing tools and systems. He then went on to become a successful entrepreneur, inventing and developing various innovative technologies for Internet search. Most recently, he founded video search company Truveo that embodies some of the most effective video search techniques known. Truveo was acquired by AOL in January 2006. Adam's talk is titled "Truveo: A Video Search Engine". He will discuss Truveo technology and how it works and will also describe how he started the company and how they were acquired.